The National Security Agency is broadening the menu of technologies it wants to help the private sector develop. The agency’s Technology Transfer Program (TTP) recently added several new patents to its TTP portfolio, through which industry and entrepreneurs can license the patents for further innovation. But this year, NSA is framing its offering as a list of “hot technologies” available for licensing, in an apparent effort to spur further participation. Licensing a TTP patent can help a company attract funding, hire new people, and look to increase its market share. The NSA, for its part, gets its piece of the licensing pie while allowing private-sector innovation to improve on the technologies. NSA now has more than 70 technologies listed in in its portfolio, broken down under the categories of Data Science, Cyber, Internet of Things and Mobile. The vast majority of them have a heavy national security element, which you would expect from the agency known (if not in great detail) for its covert work in cybersecurity, encryption, and signals intelligence. But the agency has said it tries to be proactive in recognizing opportunities for industry to develop new products. The agency since 2005 (when it released Security Enhanced Linux) also has been sharing open-source software via its GitHub page. Quite a few of the portfolio technologies reflect ongoing projects the Intelligence Community and the Department of Defense have been working on in other projects as well. One of several involving translation, for instance, focuses on recognizing speech in any language through a technology that currently converts the phonetic sounds of speech in about 15 languages into text. The Intelligence Advanced Research Projects Activity (IARPA) in early 2018 launched a multi-year project to develop a similar universal translator project, though with the idea of converting text in any language to English. Some of the other technologies on the list include digital camera fingerprinting, analyzing similarities in datasets, rapid biometric authentication, face recognition, wideband signal geolocation, antenna designs, and technologies that detect tampering with such things as courier bags and even manhole covers–the latter being a way to help protect access to telecom and utility services, and defend against infrastructure attacks. All of them have national security implications, of course, but could be applied as well in the commercial sector. Many of them, such as face recognition, already are in wide use but have plenty of room for improvement. NSA’s patents plus an infusion of private sector innovation could move the ball forward. Tracking Activity of Removable Electronic Components, which detects any type of removable media (SIM card, memory card, flash drive, hard drive, USB, etc.) attached to or detached from an electronic device. Wide Field of View Concentrator, a technology that, when coupled with a Fresnel lens, improves signal focus over a long distance and enhances high-speed data transmission accuracy. Reversible Computation Gate in Superconducting Circuits, which replaces standard logic components with digital logic components that dramatically improve the energy efficiency of high-speed computing. Method of Fabricating a Flexible Organic Integrated Circuit, the method of making flexible organic integrated circuits that can be used for wearable electronics, large area displays, identification tags, and electronic paper. Validating a Private-Public Key Pair, which provides a new level of security for key-pair validation to further secure modernized digital communications. Businesses interested in licensing the technologies go through an eight-step process that can result in a Patent License Agreement (PLA). 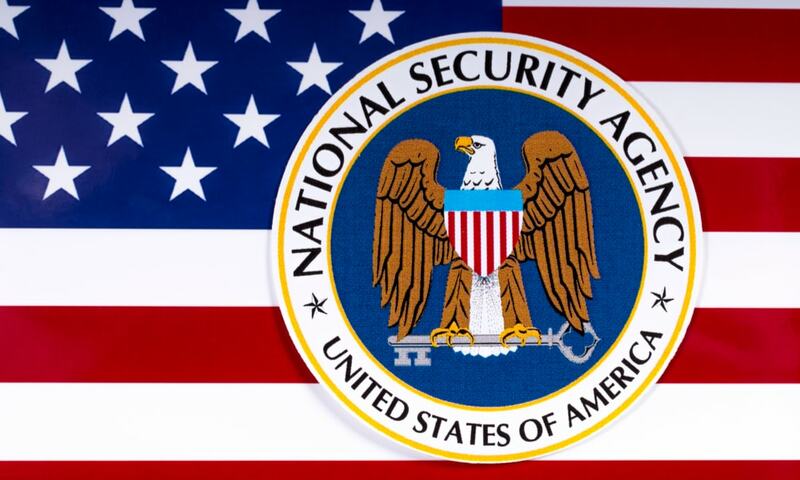 The NSA says its PLAs so far have created several hundred million dollars’ worth of economic impact.